The Heritage Center holds one of the major institutional collections of materials documenting the career of Fresno-born author William Saroyan (1908-1981), consisting of approximately 3,000 items. Copies of Saroyan's separately-published work (books, pamphlets, broadsides, and plays) can be found in the collection. 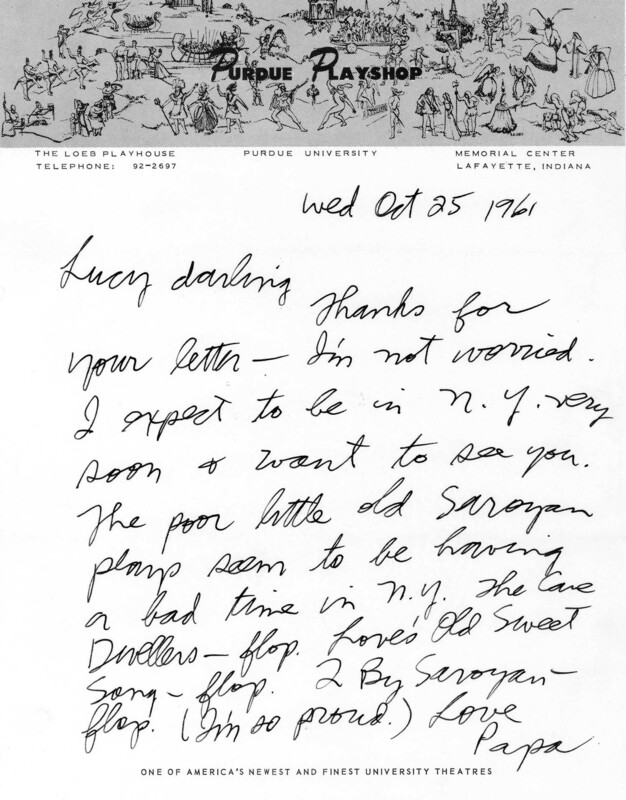 Also present are original Saroyan letters and manuscripts; Saroyan appearances in anthologies and magazines; articles and books about Saroyan; various types of ephemera related to Saroyan (clippings, play programs, promotional items, etc. ); and sound/video items (records, cassettes, sheet music, videorecordings, etc.). There is a catalogue of the Heritage Center's Saroyan holdings available for in-library use. Some of the items are also described in the Library's ValleyCat main catalog. William Saroyan Foundation: Most important among Saroyan collections, now housed at the Stanford University Library. A finding aid is available at the Online Archive of California. 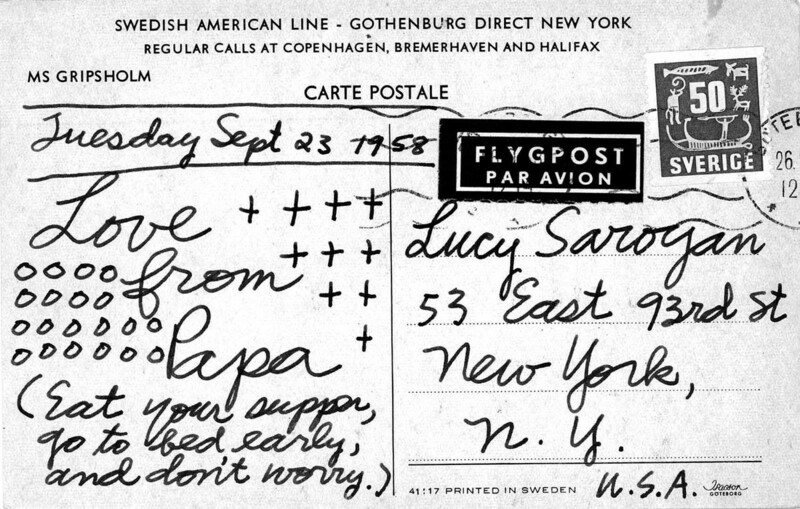 The George Jean Nathan collection at Cornell University has some Saroyan correspondence. The Conference Press Records at UCLA have materials relating to Saroyan's book, Three Times Three. 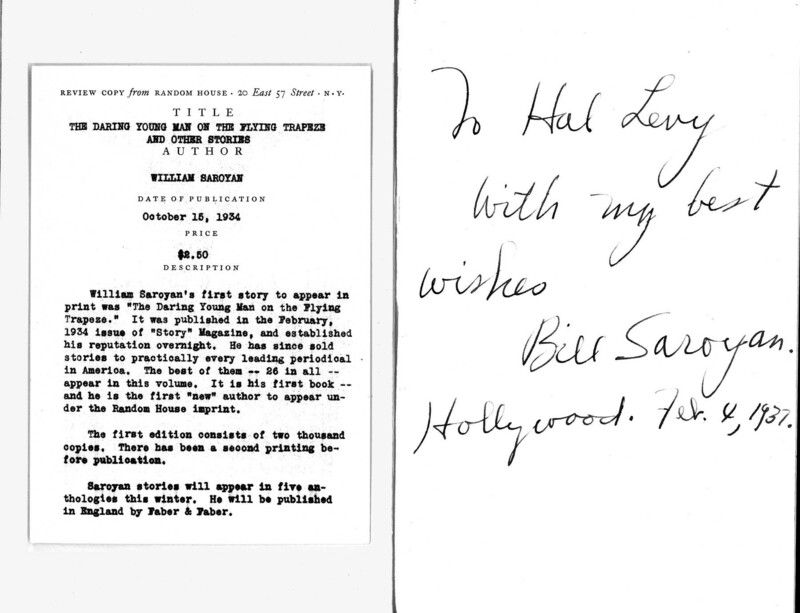 William Saroyan: the Man and the Writer : Fresno photographer Paul Kalinian's Saroyan Web site has fascinating details about his Saroyan documentary film, his reminiscences of "shooting Saroyan," and related periodical articles.